Feeding conveyor belts, bucket elevators, vibratory screens, loading and sorting plants. 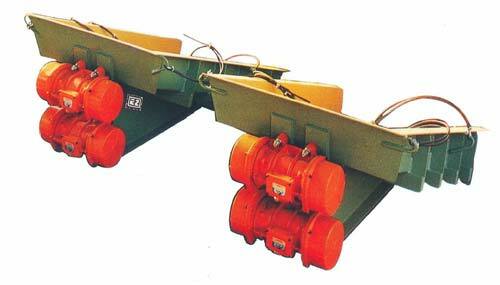 Compared with other conveying means Vibrating Feeders have low energy consumption and cause little pollution. They are wear resistant and thus do not influence the quality and character of the product they handle. Vibrating force : From 250 kgs. to 20000 kgs.